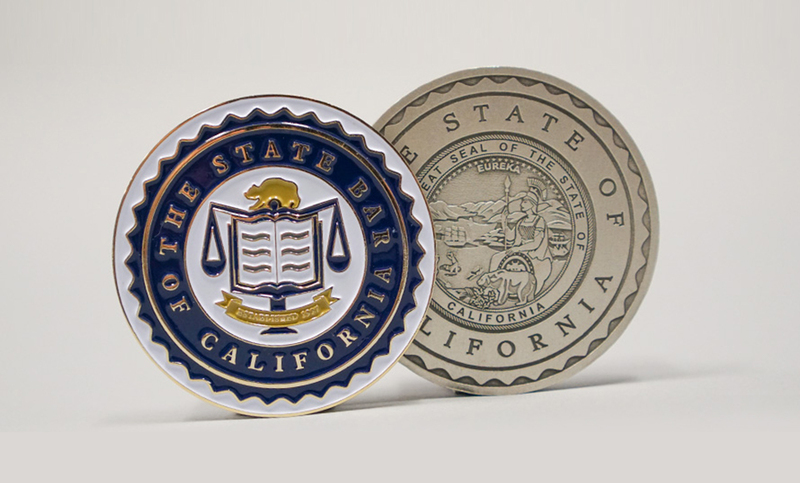 The California State Bar was exploring the idea of turning their logo into a commemorative coin, and as we talked with the client we found that they needed the coin to have some color and needed it to be simple enough to be reproduced in a cast. This provided a challenge as their current logo was black and white and was quite complex with more of an emphasis on being artistic than being practical. The floral flourishes, intricate ribbon, small seal marks, and use of Latin all gave the logo an old school look that would be hard to convert into a coin and a logo that could evolve with them as they moved into the future. With all of this in mind, we decided to modernize the logo by simplifying some of the shapes like the ribbon and eliminating the flourishes. 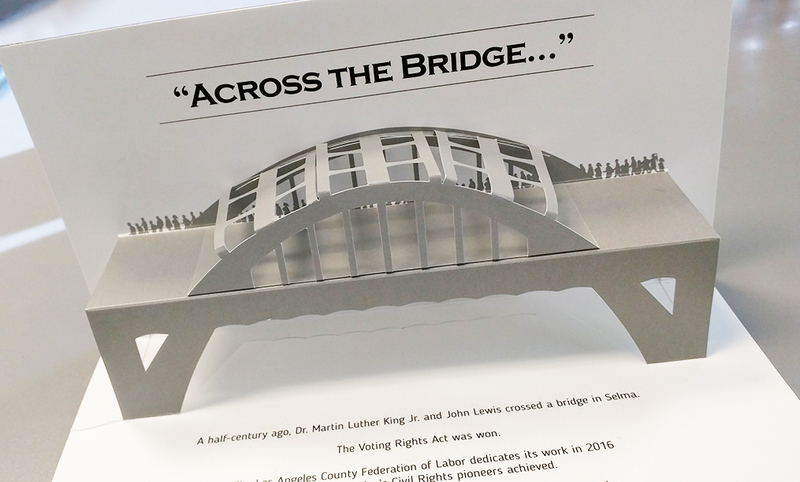 The book in the center was also simplified with more modern flatter shapes while still retaining some of the depth of the original, while the seal that contained the text was made solid to help the text stand out more. With the logo simplified, we were able to start on the coin design itself. With the logo simplified, we turned to designing the coin. On the front would be the logo and on the back a modified version of the California seal. The logo on the front was slightly reduced to make room for the outer edges of the new seal, and place on a white background to help it pop out. The back reflected the same enclosure as the logo with the California seal placed in the middle with the coin repeating the gold and blue theme throughout. In addition to the colored coin, there was also an all metal version produced pictured above next to the color version. 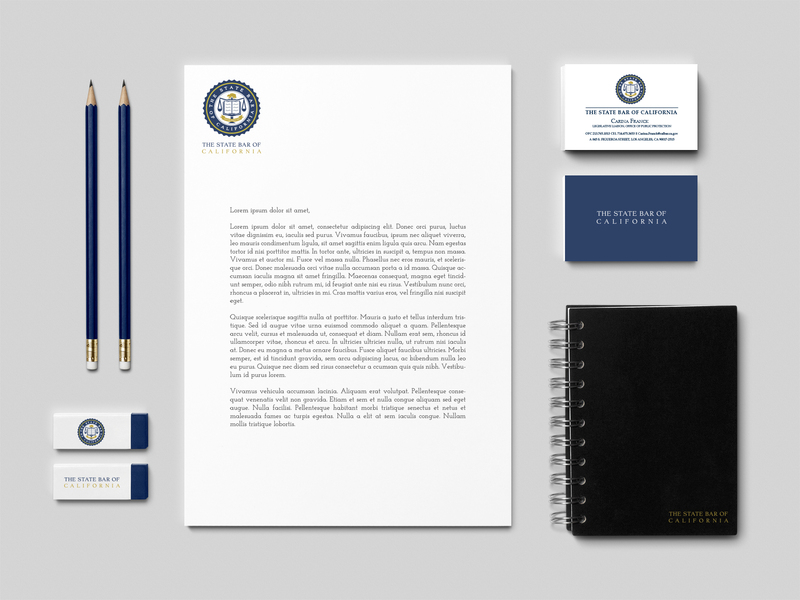 With the new logo and commemorative coin, the California State Bar Association was able to move forward with a new design that honored the traditions of the pas while looking forward to new things to come.